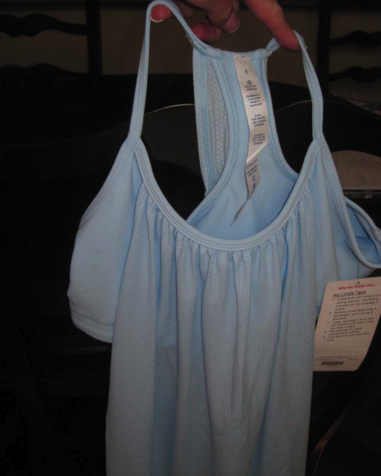 The new Caspian Blue No Limit Tank and Swiftly SS’s were spotted in a Strategic Partner Store today in the US. This is loverly! The bra portion of the tank has a slight pattern to it. I’ve heard rumors as well (spotted in a magazine I believe) that there is a Pow Pink No Limit Tank coming. I may be tempted by the Pow Pink, or even a Pop Orange if that exists. "New! Pow Pink No Limit Tank"